The TP is Tom Payne's original signature model and is purpose built for his ‘traditional with slash’ attitude. 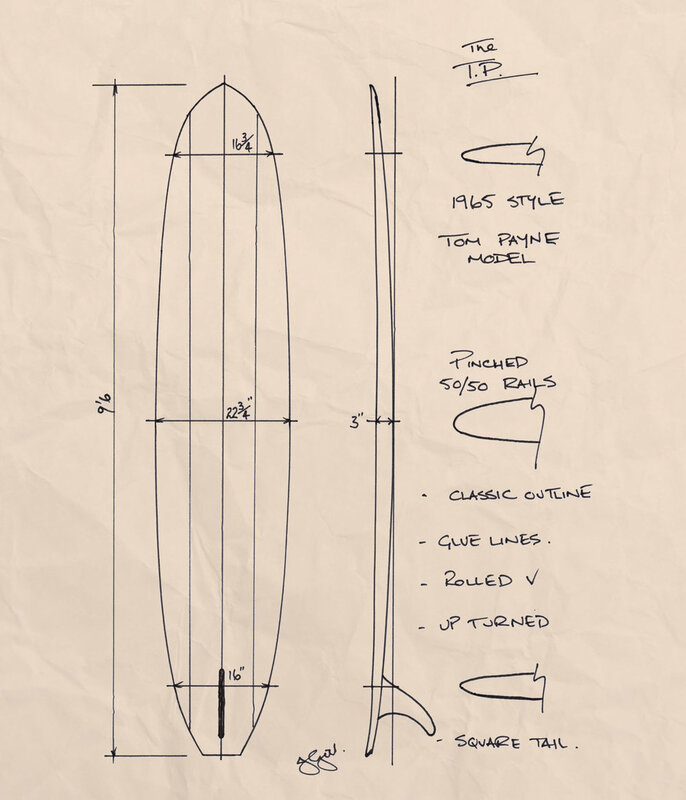 Tom owns the middle section of his board providing him with an abundance of speed so we came up with a design to harness his technique. This board has an effortless acceleration enabling it to trim and connect sections with ease. It is also surprisingly good to nose ride ensuring plenty of hang time. Based around the 1965 era, the TP is sleek in plan shape and low in rocker. The rails are 50/50 and it has an almost flat under the nose running to a rolled V through the tail. Sizes range 9’0” - 9’8” and comes standard with a Clear glass job, twin offset glue lines and 9mm Cedar stringer.